On Friday, June 17th we were treated to a very informative talk by Dr. Marcin Szczerbinski of the UCC Applied Psychology department. 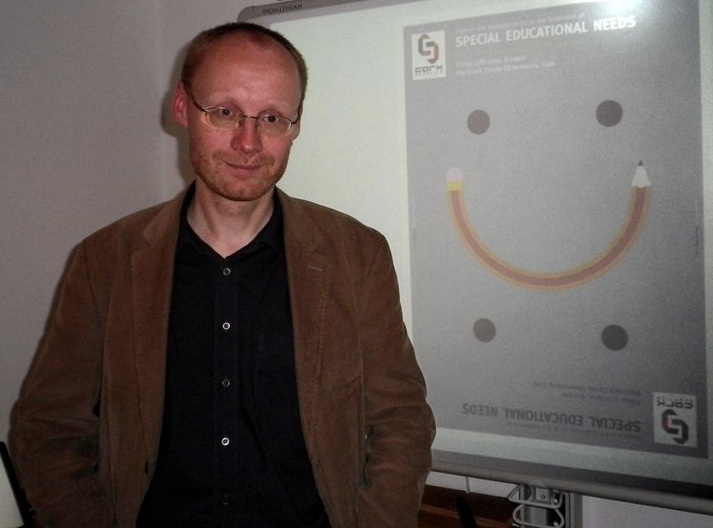 In his talk, Marcin discussed the main kinds of childhood learning difficulties, what was generally known about their diagnosis and treatment, and the different approaches used to address these difficulties. In particular, he looked at Brain Gym, a popular but pseudoscientific approach that claims it can help children with learning difficulties. He contrasted this with more conventional, science based approaches. He ended his talk with a baloney detector kit – rules of thumb to consider when evaluating potential treatment options. His talk was wide ranging and of interest to anyone who has children, or works with children with learning challenges. You can now listen to a podcast of his talk below. In addition, we will be providing further reading materials and references in the coming days. Categories: General | Tags: ADD, ADHD, Asperger Syndrome, autism, Brain Gym, dyslexia, dyspraxia, education, Educational Kinesiology, learning, Marcin Szczerbinski, UCC Psychology Department | Permalink.